To ensure FRESHNESS, ALL orders are shipped for either next day or 2nd Day delivery by 5p.m. Regular deliveries are shipped Monday-Thursday. 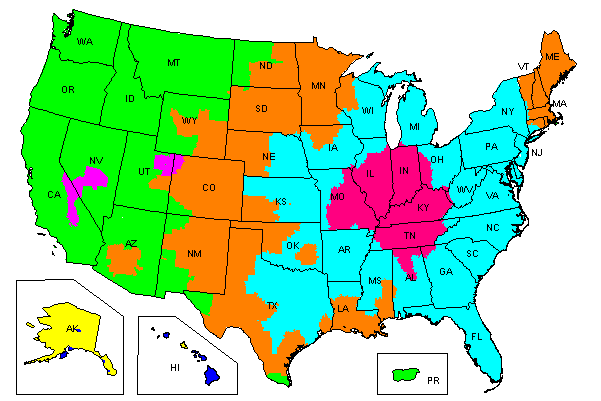 Zone locator below indicates which customers will need to ship 2nd Day or FedEx Express. FedEx Express is used on all Saturday deliveries! If incorrect shipping is chosen during checkout, additional shipping charges will be applied at time of processing. NOTE: Orders will NOT be shipped to Alaska, Hawaii, and Puerto Rico! ZONE 2Serviced by FedEx Ground for Regular deliveries and FedEx Express for Saturday deliveries.